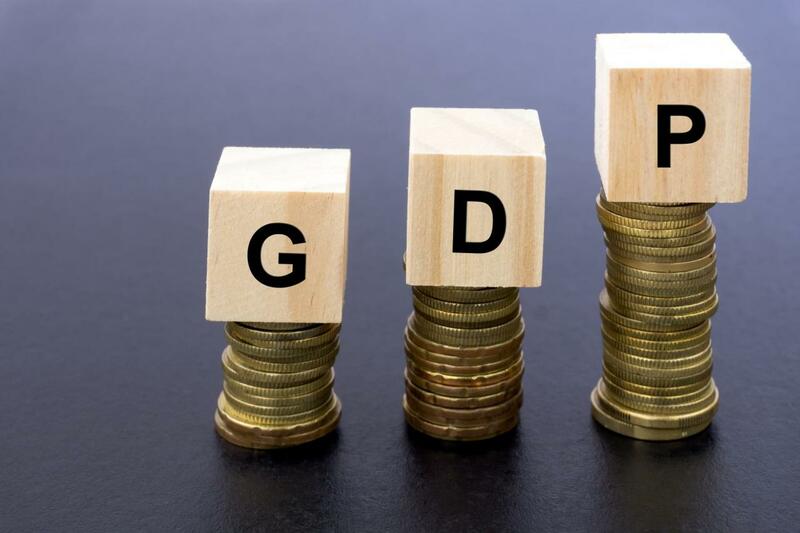 Azerbaijan’s GDP volume reached almost 72.4 billion manats in January-November 2018 that is 1 percent more than in January-November 2017, Trend reports referring to a report of the State Statistics Committee. The volume of GDP per capita amounted to 7,378.5 manats. According to the results of the reporting period, the volume of GDP produced in the non-oil sector of Azerbaijan increased by 1.3 percent compared to January-November 2017, while in the oil and gas sector there was an increase of 0.3 percent. During the reporting period, except for the construction sector, growth was observed in all spheres of the economy. Thus, the sphere of transport and storage grew by 7.9 percent, accommodation of tourists and catering - by 7.6 percent, information and communication services - by 9.2 percent, agriculture, forestry and fisheries - by 4.6 percent, trade and repair of vehicles - 2.7 percent, industry - by 1.3 percent, other areas - by 0.7 percent. The construction sector decreased by 14.9 percent. Thus, 45.2 percent (almost 32.76 billion manats) of Azerbaijan’s GDP accounted for industrial sphere, 6.8 percent (4.9 billion manats) – for construction, 5.4 percent (3.9 billion manats) – for agriculture, forestry and fishery. Net taxes on products and imports amounted to eight percent of Azerbaijan’s GDP (almost 5.76 billion manat). According to the report, 9.3 percent of the GDP (6.7 billion manats), produced in the service sector, accounted for trade and maintenance of vehicles, 6.4 percent (4.58 billion manats) – for transport and storage, 2.3 percent (1.65 billion manats) – for accommodation of tourists and catering, 1.5 percent (1.1 billion manats) – for information and communication services, 15.1 percent (10.97 billion manats) – for other services. Azerbaijan is in the top 11 countries in terms of GDP growth per capita. Real GDP growth per capita was 8.2 percent on average in Azerbaijan within the period from 1996 to 2016. In this regard, Azerbaijan ranks second among the countries following Myanmar. National GDP this year is expected to reach 69.4 billion manats ($40.82 billion). At the same time, 47.6 billion manats ($28 billion) of the GDP will account for the non-oil sector, which will grow 2.9 percent next year. About 83 percent of Azerbaijan’s GDP will account for the private sector.